SINGAPORE (Feb 22): The recovery by the Straits Times Index that started towards mid-January is likely to continue despite short term hiccups. Quarterly momentum is in rising mode, the 50- and 100-day moving averages are positively placed, and the index remains above its 200-day moving average. ADX is rising and the DIs are positively placed. 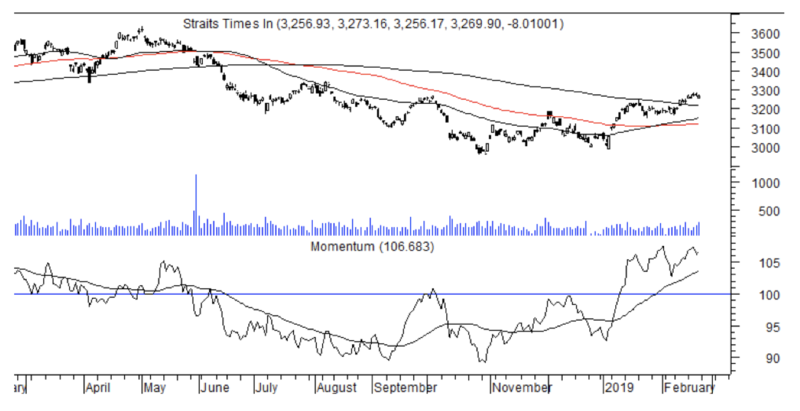 Interestingly annual momentum has stabilised and could attempt to recover. Prices could ease as short term stochastics approaches the top end of its range and turns down. This may cause a temporary retreat. Support is at the breakout level of 3,190. The break above 3,190 indicates a target for 3,420. A break below 3.190 indicates the upside is no longer valid. 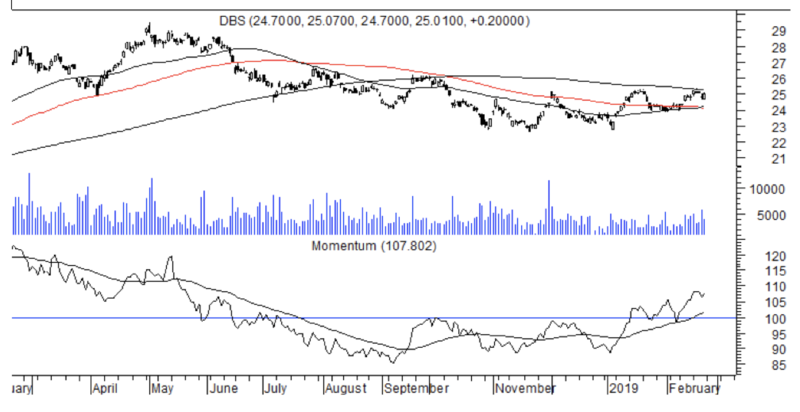 The flat 200-day moving average at $25.26 is likely to continue exerting resistance. This is despite the minor bullish engulfing pattern formed by the candle stick chart on Feb 22. Quarterly momentum has formed an uptrend, but the chart pattern remains ambiguous rather than decisively positive. A break above $25.26 accompanied by volume expansion would clarify the pattern and resolve the sideways trend on the upside. The 50- and 100-day moving averages at $24.16 are poised to turn up simultaneously establishing this level as a support-floor.